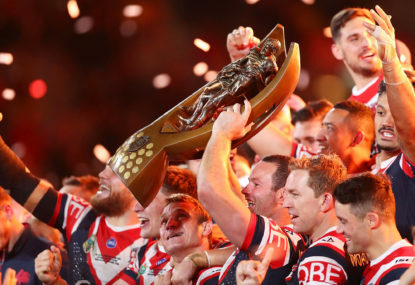 What an incredible last couple of months it has been for the Roosters five-eighth. After steering his team to premiership glory and winning the Clive Churchill medal, Luke Keary then capped it off debuting for his country against New Zealand. He hasn’t missed a beat come season 2019. Saturday night’s masterclass against the Sea Eagles proved Keary now has all the skills to be a top line playmaker. 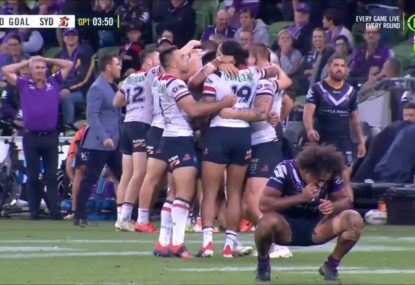 With his fellow playmakers, Jake Friend and Cooper Cronk, out of the game, Keary was tasked with the plan to lead the team, and he delivered. His four try assists in the first half and brilliant kicking game helped the tri-colours establish an early and resounding lead over Manly. 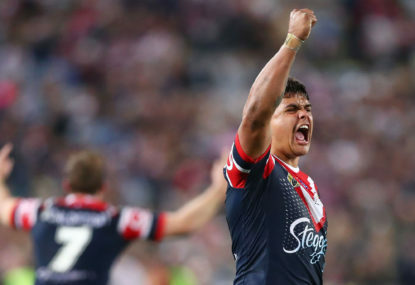 The Roosters will take much confidence heading into the future, if indeed Cooper Cronk does retire, knowing they have a new general to lead them to success. If there was ever a comeback story to trump all others, it was this one. 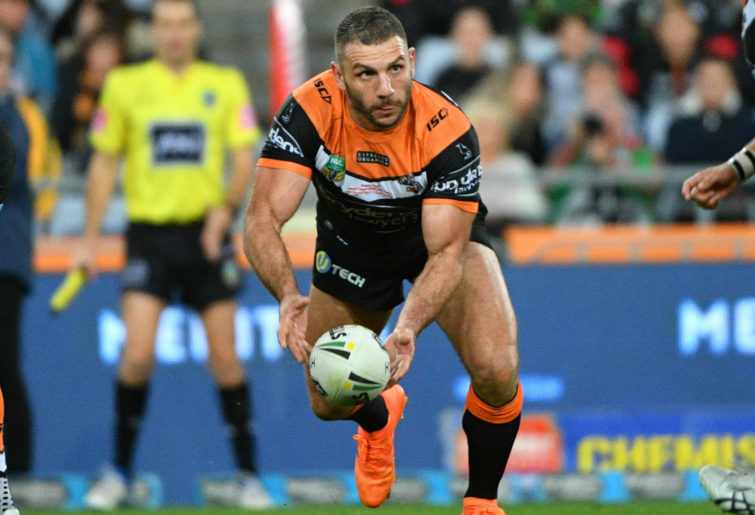 Robbie Farah’s return to the Tigers was met with angst and trepidation when he returned midway through last year. However, Farah has found his form of recent years and proved to be a great leader once again. His two performances to start the year have been nothing short of outstanding, having scored three tries and three try assists. It’s his combination with Benji Marshall and Luke Brooks that is the biggest reason for the clubs success. In the past, Farah has been known to get in the way of his playmakers and crowd the ruck for them. This year he has chosen his moments and knows the right play at the right time, and that has helped Brooks and Marshall out in a big way. Leading up to the Queensland Darby, all the talk was surrounding Tuamalolo’s performance in Round 1, running for over 300 metres, setting up tries and bustling through defenders. No one really gave the young Broncos’ forward-pack a chance at stopping him or the entire Cowboys forwards. Then up stepped Tevita Pangai Junior. I’ve never seen a forward in recent history make such a battle and a game so personal. He charged with intent on every run, and his defence was enormous for as well. His ‘in your face’ mentality ended up injuring Taumalolo and swung the game into his favour. Finishing with 110 metres, six tackle busts, one line break, 16 tackles and a try will have Brad Fitler licking his lips at the possibility of having Pangai Jr storming off the bench for the Blues this year. 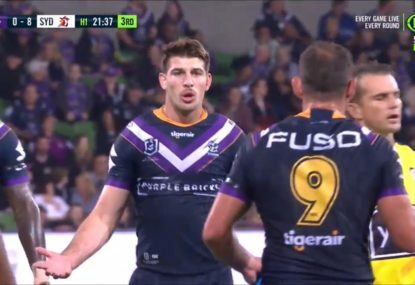 Has there even been a more professional and consistent outfit in NRL history? I don’t think so. 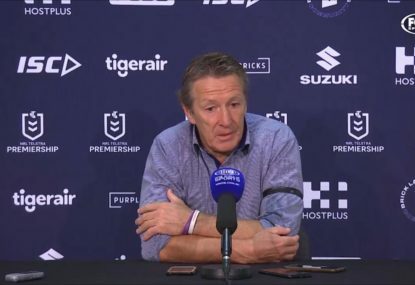 Every year the Storm lose players and talent and yet they still seem to be so successful. Their first twenty minutes of the game against the Canberra Raiders was a clinic, scoring three tries and strangling their opposition without the ball. I’ve never seen a side go out and deliver on their game plan more potently and successfully than Melbourne. 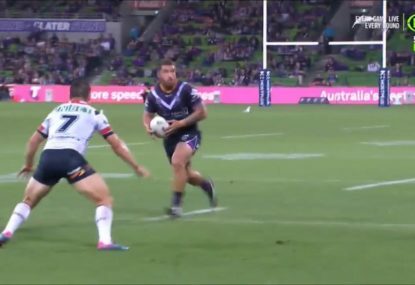 Their forwards, in Jesse Bromwich and Nelson Asofa-Solomona, provide the platform for Cameron Smith and Cameron Munster to work their magic, setting up the best wingers combination in the competition, in Josh Addo-Carr and Suliasi Vunivalu. Come September, Melbourne will surely be there once again, and it is going to take a lot to beat them.